Book five or more activities in advance of your holiday and receive 5% discount on the cost of the activities (this excludes equipment hire, downhill skiing and accommodation upgrades). 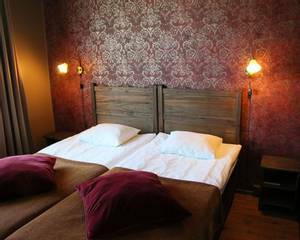 The Hotel Aurora is an exceptionally comfortable base to tailor your Arctic holiday. 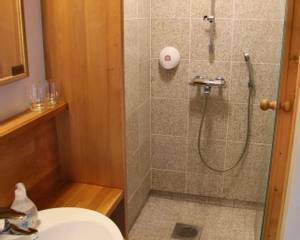 All rooms come with a private sauna and the dining is remarkable. As you’ll be in prime Northern Lights territory, the hotel also provides an Aurora alarm for updates throughout your stay. 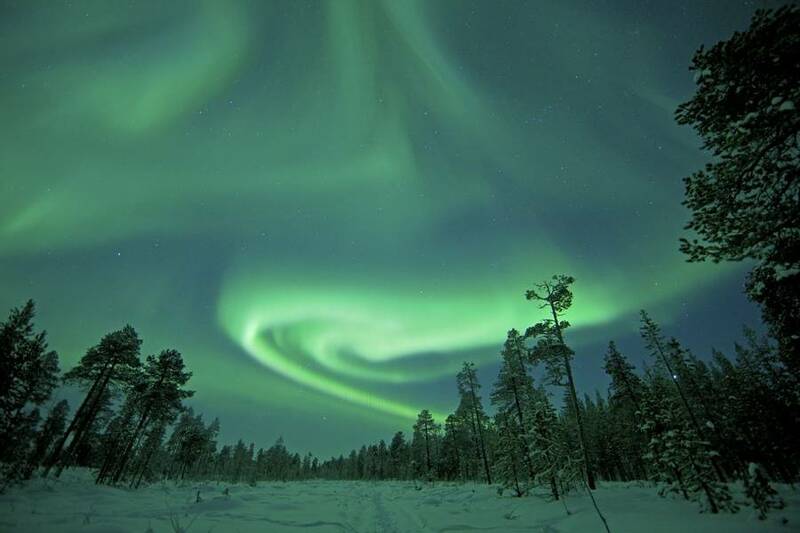 Flights: return flights between London Gatwick and Rovaniemi (via Helsinki). Flight routes are subject to change and direct flights are available on certain dates. 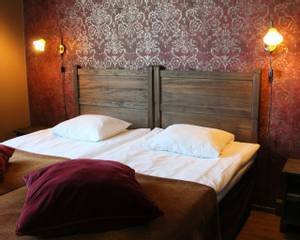 Hotel Aurora is an excellent place to stay and offers guests an excellent base from which to explore the Lappish delights of Luosto and also search for the Northern Lights. 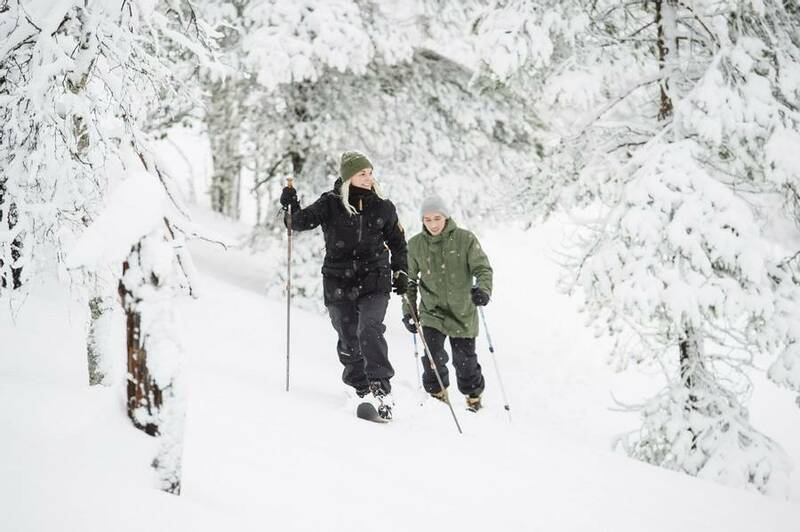 The hotel’s central location in Luosto means that the amenities of this small ski resort are all within easy reach but the small scale of the accommodation here means it doesn’t lose any of its intimate charms. 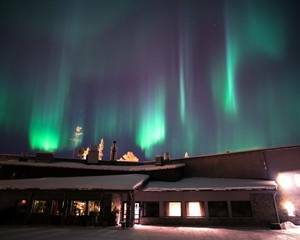 As the name suggests this hotel is geared for guests wanting to see the Northern Lights and offers an Aurora alert service to all residents. 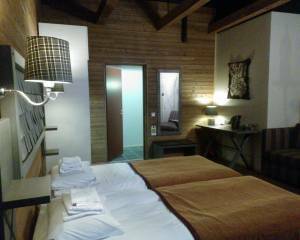 Many of the rooms also have north facing windows so you can gaze upon the night skies from the comfort of your room. 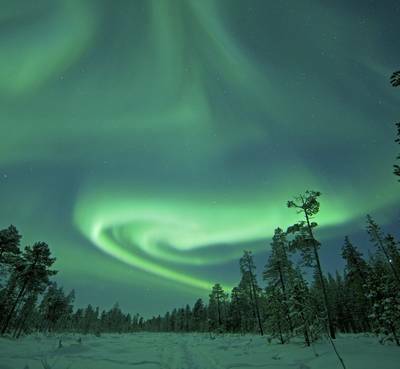 The range of activities on offer here is extensive and includes the chance to visit unique destinations such as the amethyst mine as well as Northern Lights focussed activities such as a visit to the famous Aurora Kota. You can choose the activities which are most important to you and your party from our extensive range and can fully determine the pace of your own holiday. 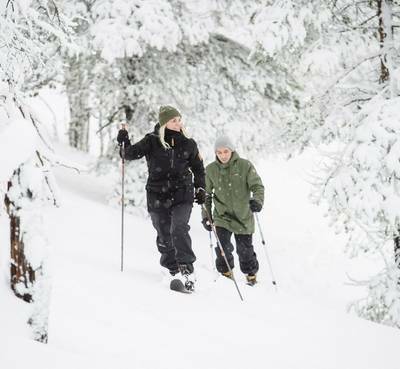 Luosto also offers a small number of downhill ski slopes and a wealth of cross-country ski trails for those who have some experience. Equipment can be hired locally for those who want to explore independently or we can arrange lessons for you in advance. Our basic package includes a minimum of three nights’ accommodation on a half board basis, return flights from London and return transfers. You can then add in the activities from the weekly schedule and extend your stay to your preferred duration. Cold weather clothing is provided for the duration of your stay. You can really craft your dream holiday and our Travel Experts are always on hand to help if you have any questions. If you book five or more activities in advance of your holiday then you will receive 5% discount on the cost of the activities (this excludes equipment hire, downhill skiing and accommodation upgrades). 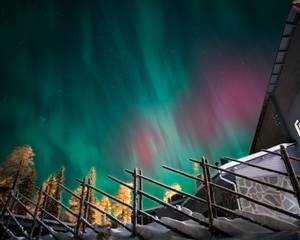 A highlight for many guests is the chance to upgrade your stay to one of the glass-roofed Arctic View rooms at the hotel, for the ultimate way to view the night sky. These can be utilised for one night or your whole stay and details can be found in both the 'accommodation' and 'activity' sections of the holiday page. 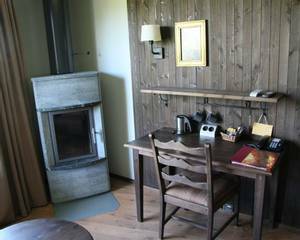 For those who want a little extra then you can choose to upgrade to a room with a log burning stove should you wish to relax by the fire in the evenings. 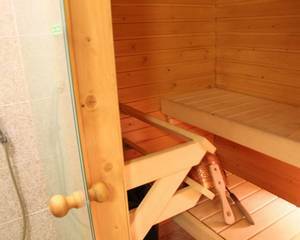 The 12 rooms are all equipped with their own private sauna and en-suite shower room with hairdryer. The rooms have wireless internet, television, telephone and tea and coffee making facilities. Starter kits for the fires are provided along with instructions for use. Whilst the rooms are all fully heated at Hotel Aurora, a fire can be a delight after a day and night of activities out in the Arctic wilds. Lose yourselves in the Arctic night, driving snowmobiles through quiet forests and frozen expanses. While full instructions will be given, it is ideal to choose this safari if you have had experience of snowmobiles earlier in your holiday. 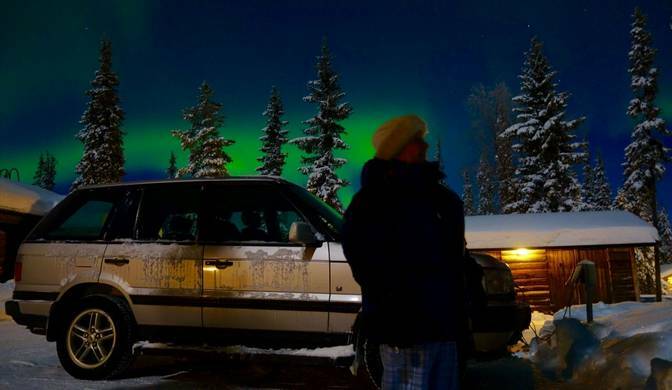 Your guide will take you to a well-positioned Aurora lookout, from which you can get spotting the Northern Lights. Hopefully, they will also light the sky for your return to Luosto! You will be out for around three hours in total. This is a great introduction to the Northern Lights and the leisurely pace is sure to suit everyone. The evening commences with a multimedia presentation, hosted by an Aurora expert at the hotel. You will have the chance to listen to real radio signals from space whilst also gaining an insight into the myths, legends and of course the science which surrounds the Northern Lights. After your presentation, you will head out in the hope of catching a real display. With your guide leading the way you will be shown to Ahvenlampi, an ideal viewpoint just a short walk from the hotel. Hot drinks will be served around a campfire. Please note: we would advise that you do not book this activity alongside “Visit an Aurora kota by car” as both activities include the same presentation. This is a great chance to experience a meal in a traditional Finnish kota (wooden tepee). Your evening begins with an easy guided walk through the forests around the village. Upon arrival at the cosy kota you will relax around an open fire and enjoy a delicious meal cooked up over the campfire. 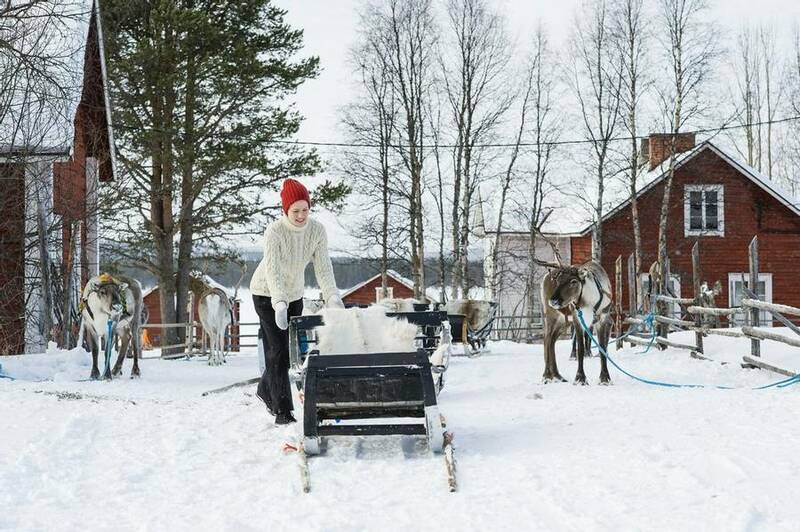 This is an excellent way in which to really sample a taste of Lapland. Leaving Luosto by car, you will head to the Aurora kota close to Sodankylä. A kota is a traditional wooden tepee and it's a very fitting venue for tonight's presentation. A local expert will offer you an insight into the science behind the Northern Lights, giving you a better understanding of this magical natural phenomenon. Please note: we would advise that you do not book this activity alongside “Introduction to the Northern Lights (trail and presentation)” as both activities include the same presentation. This incredible day-long safari driving your own husky team on a safari covering 20 to 30km. You will stop off part-way for a picnic lunch in the wilderness before making a return to Luosto. By this point, you will have mastered the art of dog sledding! A transfer of around 1.5 hours will take you to the city of Rovaniemi. 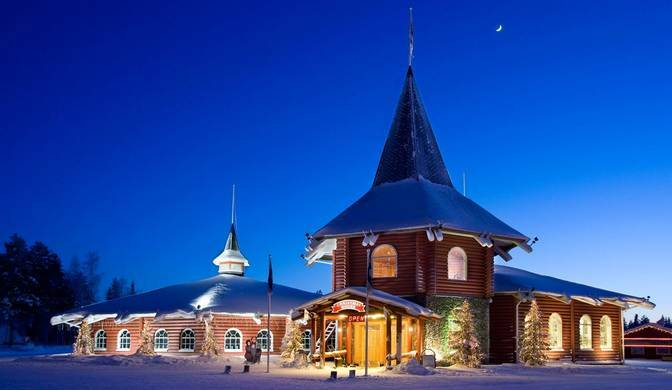 You will have the chance to look around the Arktikum Museum and the internationally-renowned Santa Claus Village before travelling back to Luosto. In total, you will be out for around eight hours. The minimum age for participation in our itinerary is 4 years old, however, for some activities and transfers, you may be joined by other guests and this may include some of a younger age than stated. Any younger participants will be fully supervised and the guides will ensure that their participation takes place only if the activities will be unaffected. The snowmobile trips into the wilderness and hunting the Auror - a really good fun, great experience, beautiful scenery, etc. All the food was great too. Everything the company did to help me organise the trip was impeccable, and the trip itself was outstanding! Thoroughly recommend and would go back any day! Read more a helpful, smiley face throughout our trip. She is a credit to Aurora Zone! The Hotel Aurora was amazing. Although small, everyone was helpful and it was as if we'd known them forever! We had a set menu and found the food incredible and varied. The rooms were comfortable and clean. We had a room with a fireplace, which was perfect and a nice touch. We also spent a nice night in the glass igloo, which was lovely. Lapland Safaris, who we did our excursions with, were fantastic. We did a variety of trips and enjoyed every one of them. The standard of clothing we were supplied with and the support of the staff was great - much better than we had anticipated. Artsi was wonderful - we did a couple of trips with him. Our favourite trip was definitely the husky safari! Since booking our holiday we have been kept in contact with and had speedy responses to any questions. Booking was helpful and easy. The best holiday we've been on - we are already looking at booking again! Thank you for the perfect honeymoon! Read more trip of a lifetime easy and enjoyable. Read more Thanks to everyone for their part in organising our holiday, especially Andy who dealt with my initial enquiry right through to handing the package over to the admin team. Our holiday was very last minute, I booked only 2 weeks in advance. Andy did a great job in finding us everything we could have hoped for.